Faustson was featured by the National Institute of Standards and Technology in its Heroes of American Manufacturing series of stories. 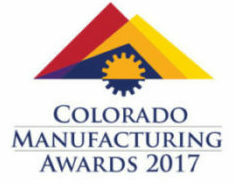 We are thrilled and honored to receive this recognition from NIST, the MEP National Network, and Manufacturer’s Edge, Colorado’s MEP. Faustson Tool a client of Manufacturer’s Edge (the MEP Center in Colorado and part of the MEP National Network), operates a 16,000-square-foot facility with more than 20 highly skilled employees and is owned and operated by Alicia Svaldi. Faustson Tool remains in the forefront of the manufacturing industry, continuing a tradition of pioneering the newest technology and pushing its limits. Faustson Tool takes on the most challenging applications only a few U.S. companies can handle, using state-of-the-art precision machining to do things no one else in the industry thinks can be done. Faustson’s reputation for innovation and excellence has earned the company prestigious clientele: Faustson Tool manufactured a key component in NASA’s Kepler space telescope, and has worked with Ball Aerospace to produce parts for the U.S. F-35 Lightning II Joint Strike Fighter jet.